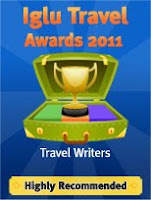 Want to be a guest blogger at Write To Travel ? I’m looking for guest posts about all aspects of writing, book reviews, conference, workshop, and course reviews, etc, etc, etc. It can be something newly written or re-cycled from your own blog or writing portfolio. What you get out of it - another location in which to air your views, your expertise, and your writing. All guest posts will get a byline and links back to their sites.